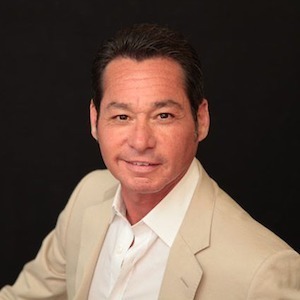 Mitch Serrano is a multimillion-dollar, top-producing broker who consistently ranks among the top agents in the City and North Shore. Mitch specializes in condominiums, cooperatives and single-family homes in the Gold Coast, Streeterville, Lincoln Park, River North and lakefront communities on the North Shore. Mitch also sits on several charitable boards, including PAWS Chicago Development Board, Chicago Dance Crash Board of Directors and the Franciscan Alliance St. James Hospital Foundation Board. Mitch received his law degree from the John Marshall Law School with a specialty in Real Estate Law. Mitch is also an Executive Scholar at The Kellogg School of Management, Northwestern University, where he studied non-profit management and fundraising. His legal experience combined with his real estate experience allows him to perform the more sophisticated transactions associated with cooperative proprietary leases and rules and regulations of the various co-op and condo boards. Mitch has been a resident of East Lake Shore Drive for the past two decades and resided on Burton Place in the Gold Coast prior to his move to East Lake Shore Drive. Mitch is a member of The National Association of Realtors® and The Chicago Association of Realtors®. Mitch was the recipient of a scholarship presented by the Illinois Association of Realtors® while attending the John Marshall Law School. Mitch is also an avid tennis player; he has competed in tournaments across the globe and holds an international ranking.